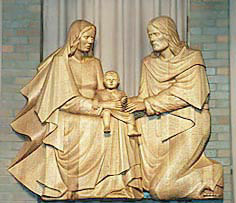 To commission a sculpture carved in wood; cast in bronze, or Forton MG (a plaster/resin mix), contact Mark to discuss the creation of a unique statue. 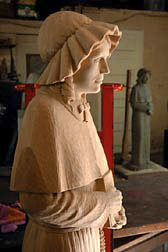 A clay model for a larger bronze sculpture. 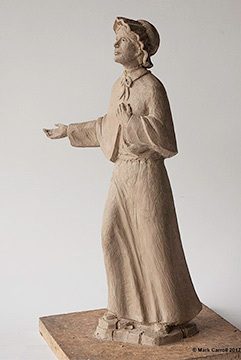 This is a clay model for a proposed life-size bronze sculpture of Mother Seton. 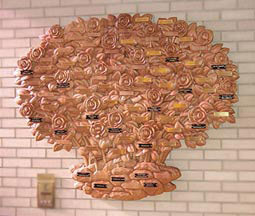 The statue was never made, but if you are interested in having a version made in any size, contact Mark and discuss the project. 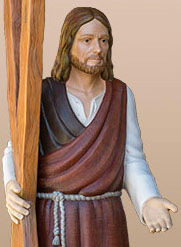 Follow the step-by-step progress in the creation of the wood carved, life-size, statue of Saint Andrew. 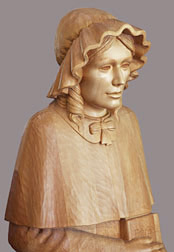 A Forton MG casting of the four and a half foot tall statue can be purchased for $7,500. 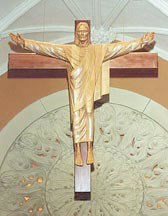 A casting of the statue can also be purchased in bronze. Inquire for a price quote.